In astronomical terms, a conjunction occurs when two celestial objects or spacecraft have either the same right ascension or the same ecliptic longitude, usually as observed from Earth. 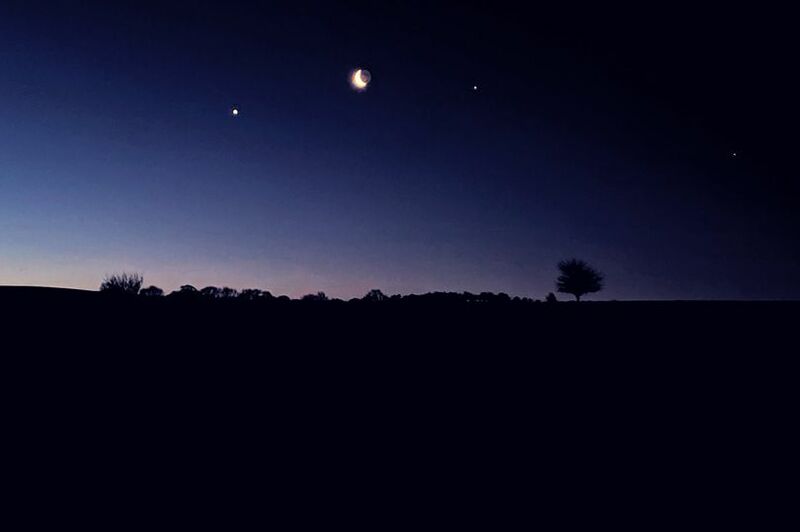 Jupiter, Venus and the Moon all appeared in the sky earlier today, but did you know that the two objects involved are not actually close to one another in space? These conjunctions between two bright objects close to the ecliptic, such as two bright planets, can be seen with the naked eye, without the need for a telescope. Read more for another video, additional pictures and information. “To the left of the moon was Venus and to the right was Jupiter. Jupiter is five times further from the sun than the Earth is, while Venus sits between the Earth and the sun – about 75 per cent as far from the sun as we are — and is the brightest object in our night sky aside from the moon,” said Manchester Evening News.